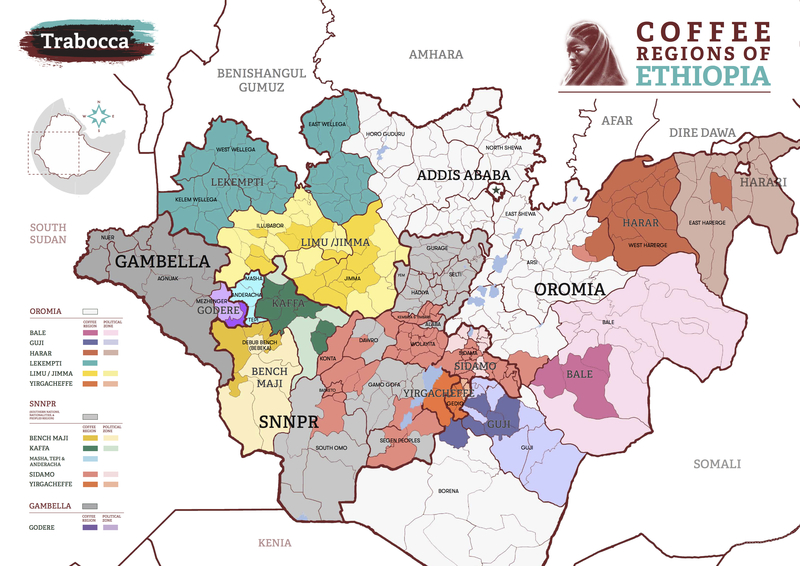 The “Coffee Regions of Ethiopia” map by Traboca. Click the image for a high-resolution version. Home to wild arabica’s natural habitat and containing nearly all the world’s genetic diversity in coffee, Ethiopia’s complex history of coffee cultivation and processing has historically defied politically defined borders. 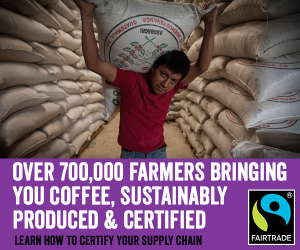 The Ethiopian Commodity Exchange (ECX), a strong domestic demand, wide variations in traditional processing methods and an incredibly diverse natural landscape have all further contributed to the blurring of the map lines, making Ethiopia’s coffee landscape a potentially difficult one to navigate for buyers in terms of traceability. Amsterdam-based green coffee importer Trabocca, which maintains offices in the United States and Ethiopia, has created a new Ethiopian regional coffee map to help roasters better understand where exactly their coffee is coming from. The map currently displays the states of Oromia, SNNPR (Southern Nations, Nationalities, and Peoples Region), and Gambella (often written as “Gambela”), which comprise much of the country’s land and where practically all Ethiopian cherries are harvested, according to Trabocca. Within those states, Trabocca overlays the specific coffee regions with politically defined zones. Super useful map, thank you! I want to contact and join to supply speciality coffee from SSNP Dilla Wenago farmers from their farm.